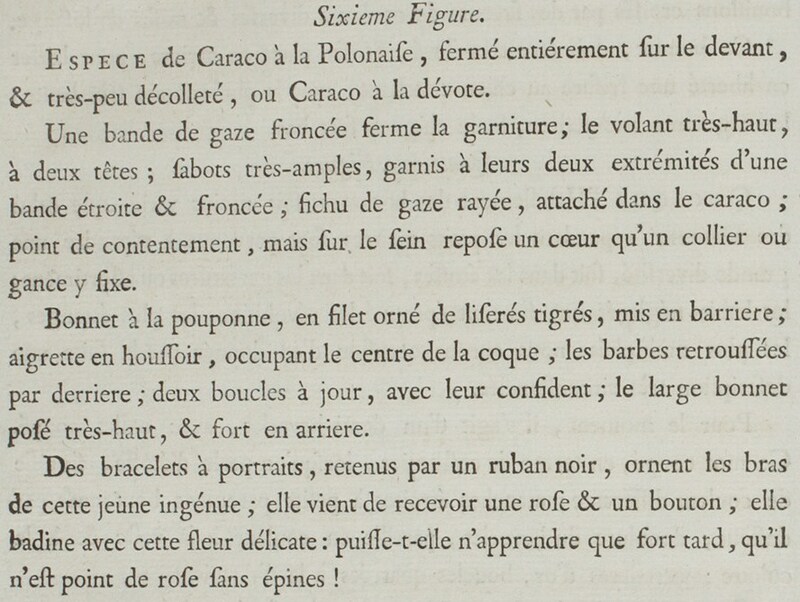 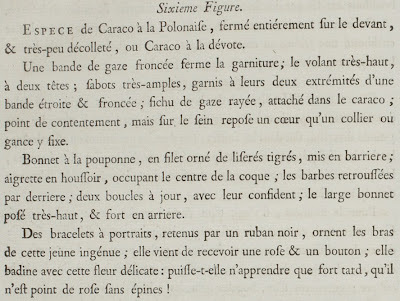 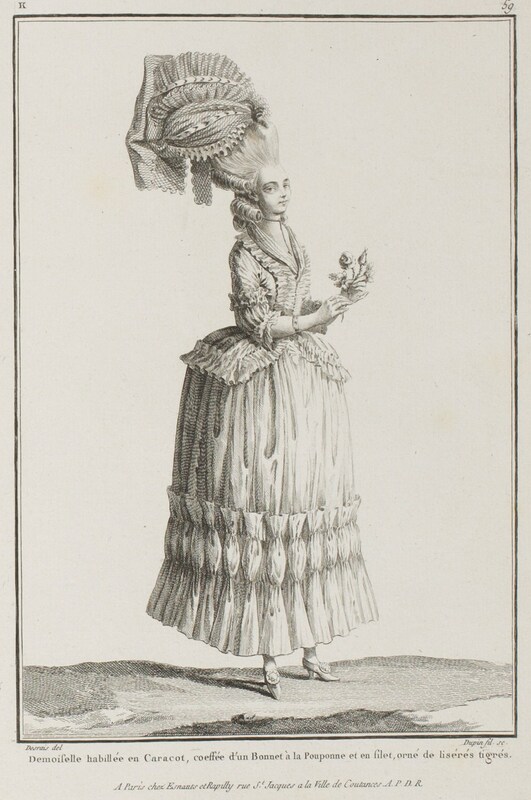 Type of Polonaise Caraco, entirely closed in the front and not very décolleté, also called the Caraco à la dévoté. A band of gathered gauze is the trim; the volant is very high, with two rows of gathering; very ample sabot cuffs, trimmed at their two ends with a narrow gathered band; kerchief of striped gauze, tucked into the caraco; no contentement, but on the chest rests a heart fixed to a necklace or cord. "Doll" cap, in filet lace trimmed with streaked liserés placed en barriere; broom-shaped aigrette, occupying the center of the coque; the lappets pulled up in the back; two stylish curls with their confident; the large cap positioned very high and going out backward. 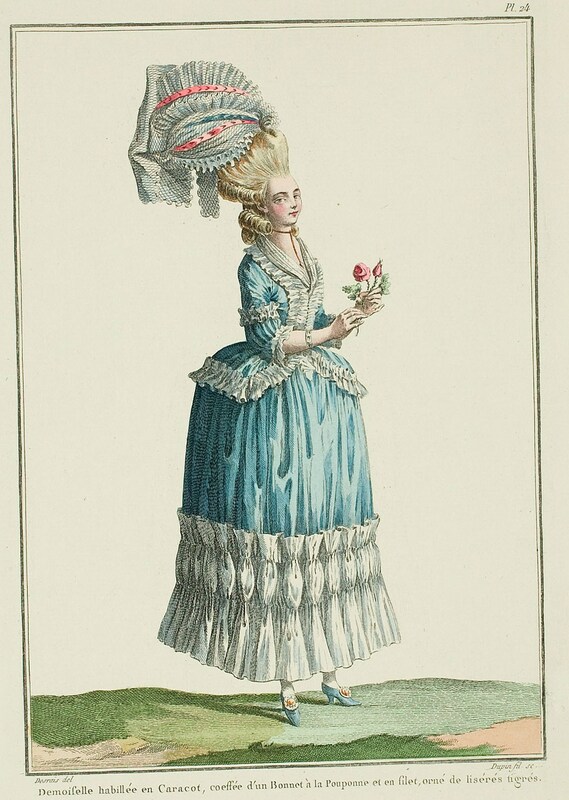 Portrait bracelets held on with black ribbons, ornamenting the arms of this young ingenue; she comes to receive a rose and a button; she toys with this delicate flower; can she only learn very late, the she is no rose without thorns!